A current problem that is often experienced by newbie computer users. Generally, the windows 7 driver is automatically installed during windows installation. But, the problem occurs when you need to re-install a few driver’s because of a corrupted file, or windows did not install the driver automatically or for when a new hardware is connected to the computer for the first time. You can download this driver by online from the manufacturer, or other website’s; or with an installation CD containing the driver. This next article will guide you to search and download the windows 7 driver. Everytime you install a new hardware in your computer it will automatically be installed but if this process does not happen, you might need to install the dirver manually from the installation CD that comes with the hardware. Find the hardware driver CD in the packaging then insert it into the computer. Now a prompt will appear that will help you into the installation process. The best place to search for a device driver is from the hardware manufacturer’s website. Generally, browsing the web is easy. Each time you find a web link on the hardware packaging, if it cant be located then you can simply search on a search engine. After you are in the website, insert the type of your hardware and you will see a list of different driver’s from windows. Choose Windows 7 and download and install the driver. Many websites offer hardware drivers which people need and in some cases, this download is free but in other websites offer certain fees for you to pay. This website is one of the best source to download a hardware driver for those whose hardware has been unsupported by the manufacturer. Generally a website like this has a driver directory so you can choose the one you want. Or in the search box by typing in the manufacturers name and model number. 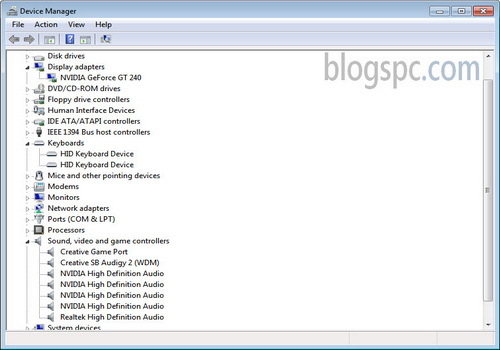 Now choose the device driver that is compatible with windows 7, download and install. Notes ; Before really downloading a certain hardware driver, make sure that you cross check it with the manufacturer, name and model number on the hardware or package. The driver must match and work properly. If you download and install the wrong hardware driver, you still can use it but few features wont work. Windows 7 : Should you go for 32-bit or 64-bit ?